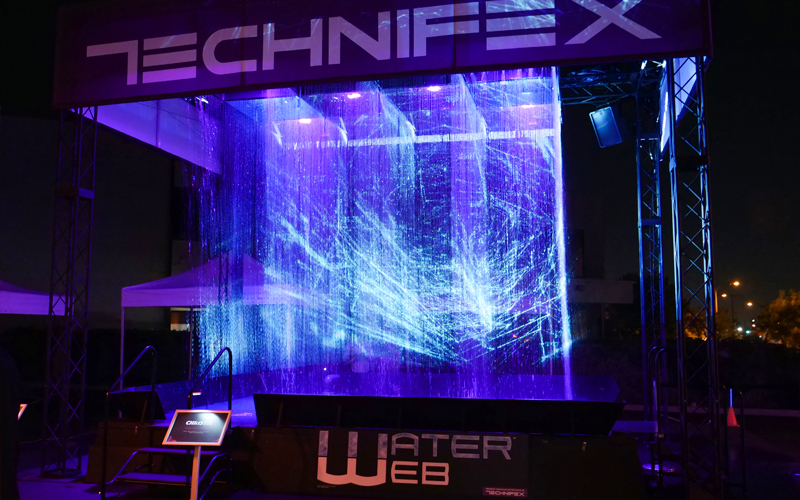 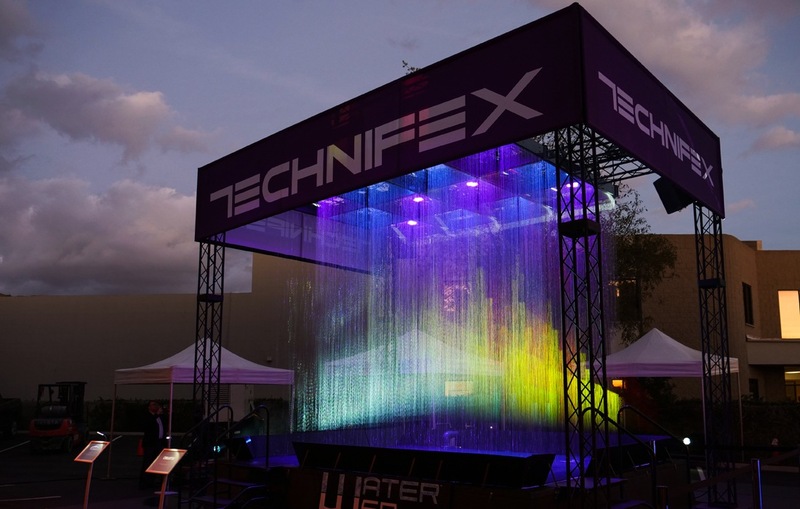 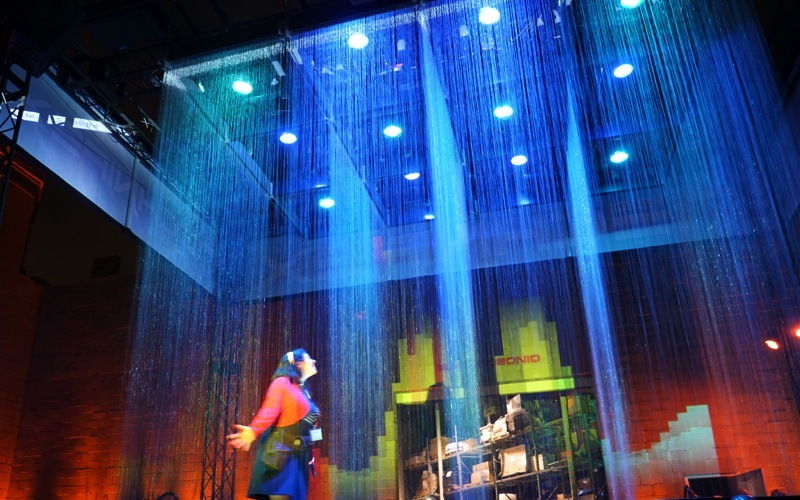 Technical Special Effects Fabricator Technifex demonstrated their interactive water experience Water Web™ at Fusion 2018 held in Burbank, CA as part of a showcase of new and emerging technology for the experiential and themed entertainment communities. 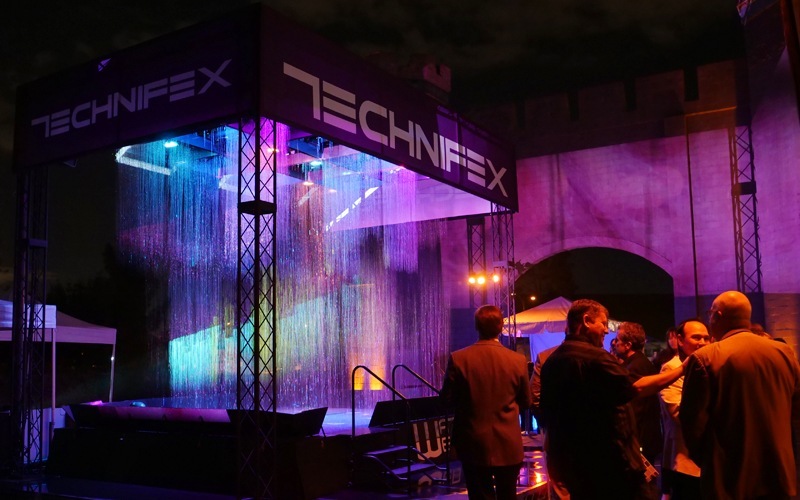 Fusion focuses on the conversion of art, technology and space, an annual event hosted and curated by Electrosonic, a worldwide audio-visual company. 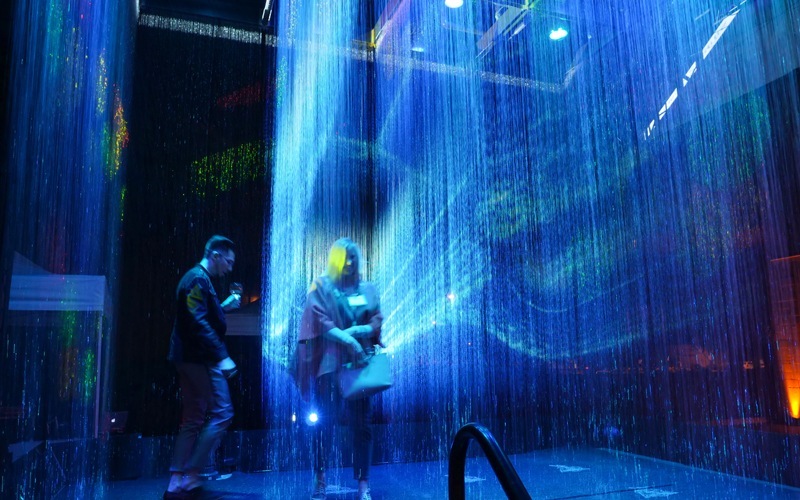 The Water Web maze effect can be programmed in real-time or pre-programmed with variations of dry walking pathways through the curtains of water, providing a fun and unique entry, activity or wow-factor for events, exhibits, and experiences, both indoor and outdoor. 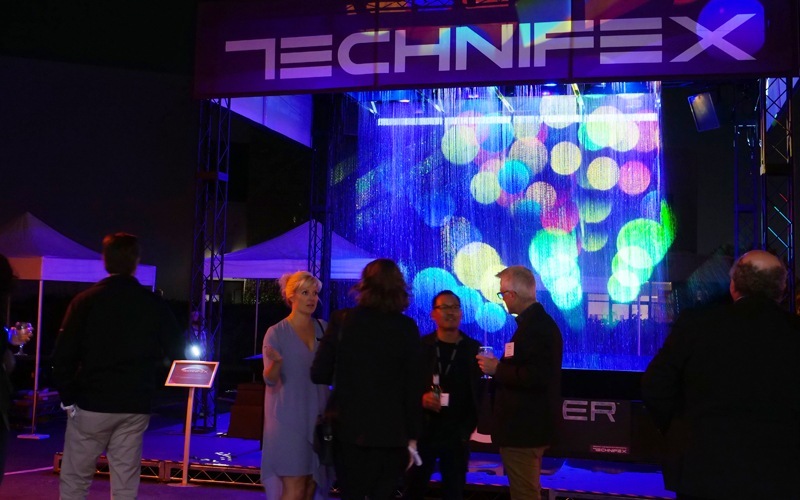 Designed with a dual purpose of acting as a water screen for projection of graphics, images, logos and messaging, Christie Digital provided the digital projectors that were super bright and vivid, providing an interactive and ever-changing media presentation of graphics, color, and effects.